ENGLISH SCHOOL, EARLY 19TH CENTURY PORTRAIT OF MISS ELIZABETH PIGOT OF SOUTHWELL bust length in a dark blue dress and lace cap with ribbons, oil on canvas, 74 x 61cmIllustrated: Boyes (M), Love Without Wings a Biography of Elizabeth Pigot, Derby 1988, p60.Elizabeth Pigot (1783-1866) of Southwell was seven years older than Byron when they met. His mother had rented Burgage Manor as they were obliged to let Newstead Abbey. In Southwell, the small town Byron described as "full of parsons", Elizabeth Pigot at twenty one was a lively intelligent and self assured young woman, an amateur watercolourist and keenly interested in literature. 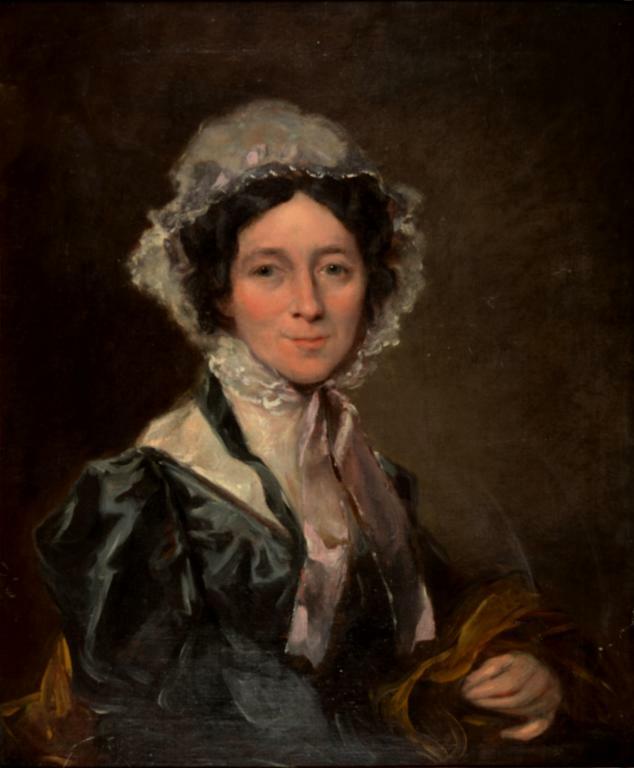 They soon became affectionate friends, exchanging letters and books while Byron was away at Cambridge.His one confidante in the area, she did much to ensure the appearance of Byron's first published work, Fugitive Pieces printed locally in Newark in November 1806.After Byron's death she was of invaluable assistance to his first biographer, Thomas Moore and corresponded with publisher John Murray.The present portrait remained in the possession of the Pigot/Becher family until it was acquired privately by the present vendor. When the collection of books and papers of the Pigot family was sold at Sotheby's on July 19, 1993, the picture was illustrated in the catalogue introduction but not included in the sale.